Get an instant home-value estimate, and sign up for a free home report. Finding the right home for you is your primary goal, but enjoying it with a lower payment and better mortgage terms is a very important secondary goal. We’ve researched and worked with many mortgage brokers and lenders in the Potomac real estate markets, and we’ll help you to contact those that are the best fit for you and your financial picture. We’re here to help seven days a week. Buy any property from Real Estate Bell and get a whopping amount of commissions in reward. 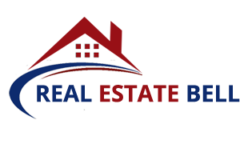 List your homes for sale Washington, Virginia and Maryland on Real Estate Bell and pay just 1% listing fee. Either way, save and earn thousands of dollars in return. * Realestatebell Refund is not available where prohibited by law, including in Alabama, Alaska, Iowa, Kansas, Louisia na, Mississippi, Missouri, Oklahoma, Oregon, and Tennessee. Subject to lender approval and minimum commissions. Listing fee subject to minimum commissions. Buyer’s agent commission not included. See full terms and conditions. The savings listed are only an estimate. Savings vary by market and are subject to a minimum commission.